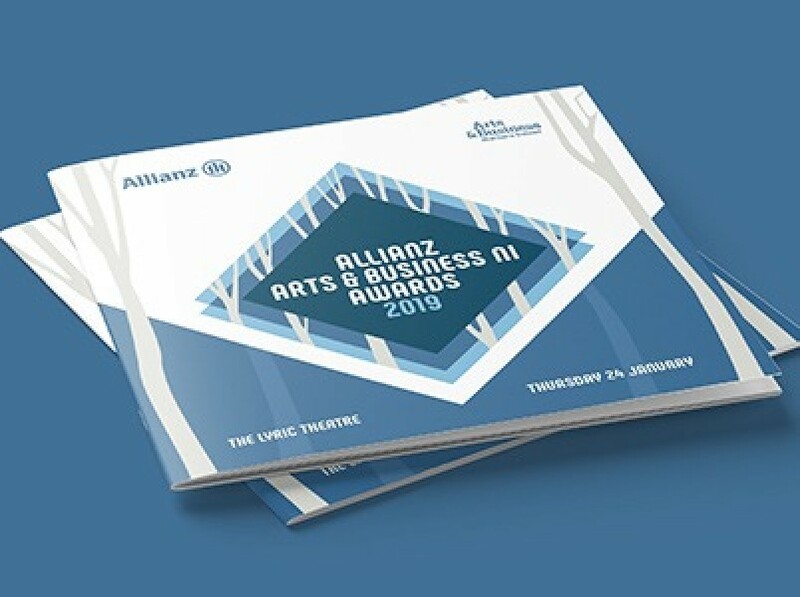 With all the excitement around our wins at the IDI Awards in Dublin last Thursday night, we omitted to share our work on the Allianz Arts & Business Awards 2019, which took place on the same night at the Lyric, Belfast. For one night only we took over the theatre space, with building projections on the waterside and floor and wall projections in the main concourse followed by high-impact graphics throughout the night. With event branding by Marcin Wilkowski, motion graphics and Keynote production by Elsa Weskott and event filming and editing by Joel Rock, Olly Street and Adam Smyth, it was a real team effort. As always, the Arts & Business NI team were a delight to work with, and the event was enjoyed by over 300 attendees who shared in the excitement as arts projects across ten categories were awarded beautiful award pieces designed by Claire Mooney.